Approximately one out of every seven adults will experience at least one migraine each year. Many of those sufferers end up in the emergency room or their doctor’s offices begging for relief. Those suffering from chronic migraines may experience reduced quality of life, especially when over-the-counter pain medications don’t provide fast and sustainable relief. That’s why many people are now turning to CBD for migraine headaches. Migraines are more intense than the everyday headaches that you may experience in response to minor stress or allergies. They present with pulsing or throbbing pain that may feel more intense on one side of the head. While a standard headache may pass quickly with or without over-the-counter medication, a migraine can last for days and may require prescription medication. Many sufferers must rest in a dark room while trying not to move for hours or days, which interferes with their ability to meet the demands of their daily life. Those symptoms apply to an active migraine attack. Chronic sufferers may also experience signs of an oncoming headache hours or days in advance. The warning signs often involve mood swings or changes in food preferences or bowel habits. Some people also recognize an aura that comes on before a migraine hits. An aura may involve changes in any of the senses, including difficulty hearing, seeing or speaking. People suffering from chronic migraine headaches often live in constant fear. They’re always waiting for the next one to hit. They’re always wondering if the next one will interrupt their life for just an afternoon, a few days or a week. Others may experience infrequent migraines, but they can come on suddenly and are often debilitating. How are Migraine Headaches Treated? Migraines are treated through medication. Most people start out with over-the-counter options, but someone with chronic or severe migraines will require prescription medication. In some cases, doctors or neurologists may prescribe narcotics that are highly addictive. Some medications have side effects that limit the sufferer’s ability to drive, operate heavy equipment or even think and speak clearly. The side effects can cause another layer of disruption to daily life. A doctor may prescribe preventative migraine medication for patients experiencing debilitating headaches that last 12 hours or longer. This level of treatment often applies to patients who don’t experience relief from prescription medications taken after the onset of a migraine. In an effort to eliminate the need for constant medication, many migraine sufferers are turning to natural remedies. That often starts with an effort to avoid stress or known headache triggers. Now that CBD products are readily available, many people are finding that they can prevent or treat their migraines with greater ease. CBD stands or cannabidiol. It’s a substance found naturally in the cannabis family of plants, including marijuana and hemp. When the CBD is isolated from the plant, it takes the form of an oil that is heavily used in products for humans, dogs, cats and other animals today. You can now buy CBD extract in the form of oil, edibles, concentrates, creams and various tinctures. There are even CBD waters hitting the market, so look for new inventions as cannabidiol becomes more readily available. THC is another extract taken from the marijuana plant. It has the psychoactive impact that allows marijuana users to feel high. CBD doesn’t have the same impact, so it produces no high. Most of the CBD products that you purchase online are extracted from the hemp plant and contain no THC. Products extracted from the marijuana plant will have some THC, but the amounts can vary. You’re most likely to find these products through dispensaries in states that have legalized marijuana at least for medical use. It’s still illegal to distribute marijuana products openly over the internet, so most of the products shipping around the world are derived from hemp. 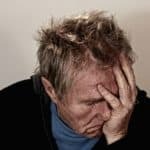 How Can CBD Help Migraine Headaches? Researchers are actively studying the benefits of CBD for a variety of medical conditions. Marijuana was considered an illegal and dangerous drug for many years, so there wasn’t much research into potential medical applications until recently. That means there aren’t many scientific studies into the use of CBD as a treatment for migraines. That doesn’t mean that you can’t relieve your migraines or even prevent future attacks by taking a pure CBD extract. There are some studies that give some insight into how effective CBD is as a migraine treatment. You can also find many first-person stories online that prove real people are finding relief by taking CBD regularly. Now that we know CBD is a safe extract that doesn’t produce the high of marijuana, you can expect more research to surface in years to come. A 2017 issue of Cannabis and Cannabinoid Research featured an overview of scientific studies designed to test the effectiveness of CBD for headache disorders. 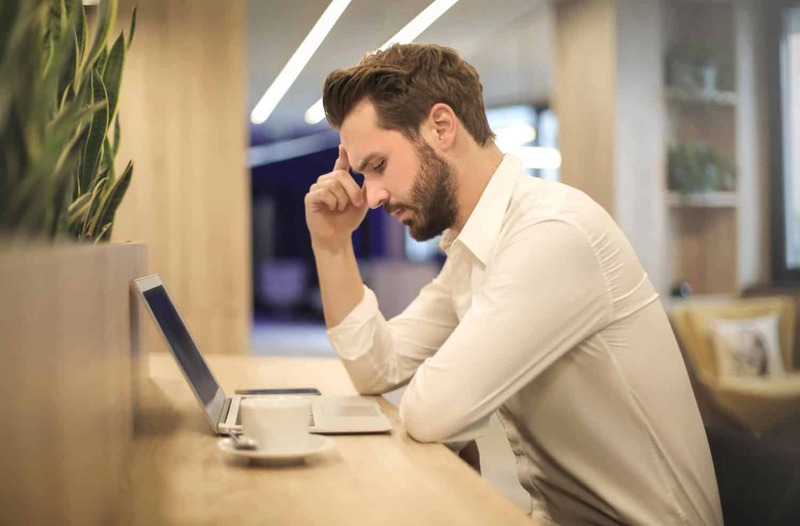 The researchers state that headaches are a major public health concern that costs about $14 billion annually due to the debilitating impact that interferes with work and quality of life. The overview noted a lack of scientific studies with control groups and other markers of trustworthy research. That doesn’t mean that they found no evidence. Their list of applicable studies included a 1997 case report that found cannabis was more effective at relieving headaches than opiates and beta blockers. All participants in that study were women. Another 1997 case report documented the successful treatment of a single patient’s migraines with cannabis that “did not produce inebriation.” In a case series featuring five patients, three migraine patients experienced complete relief of symptoms after taking cannabis. In one of the cases, cannabis was found more effective than dronabinol for the relief of migraines. A retrospective study with 121 migraine sufferers found that cannabis reduced headaches from around 10 per month to fewer than five per month. Migraine pain was completely relieved in about 11 percent of participants. About 20 percent of participants reported decreased frequency in migraines. Approximately 40 percent of participants reported some level of positive results from taking cannabis. It’s worth noting that all of these studies focused on cannabis rather than the CBD extract. 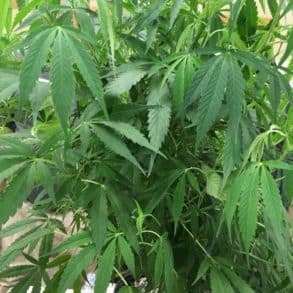 Some of the studies allowed patients to smoke cannabis, so THC and other natural compounds found in the marijuana plant may have contributed to the results. More research into the treatment of migraines with CBD is likely to surface in the future. Perhaps some of those studies will focus on CBD without the full impact of cannabis with THC. In the meantime, we can also consider research into the use of CBD for pain relief in general. Migraines are an intense form of pain, so much of the pain research is of interest to headache sufferers. Research published in a 2006 issue of Current Neuropharmacology found that CBD is effective at suppressing pain receptors, especially for neuropathic pain suffered by Multiple Sclerosis patients. The researchers noted that further studies are needed, but they also revealed great promise for the use of CBD for chronic pain relief. One overview of research into CBD and pain relief was published in the journal Therapeutics and Clinical Risk Management in 2008. Most of the studies included in the overview focused on a full-plant marijuana mouth spray known as Sativex. The treatment was found highly effective for a variety of pain conditions, including neuropathic pain for Multiple Sclerosis patients and intractable chronic pain. While THC may have impacted the results, it’s safe to assume that CBD was also helpful in the pain relief. Research into the use of CBD for pain relief is ongoing. Research reported in the journal PAIN in January 2019 points to new discoveries related to how CBD interacts with the human body to produce pain and anxiety relief. The research was conducted on animals, but researchers will likely try to reproduce the results in human clinical trials. Not only could it deliver proof that CBD is effective for pain relief, but it could show us how that pain relief is produced. CBD oil is the most accessible form of cannabidiol today. You can buy hemp-derived CBD oils online, but make sure that you research the provider. Look for pure CBD oil without unnecessary added ingredients. Buying from a trustworthy brand name that is supported by positive customer reviews from real people will ensure that you get maximum results with minimal side effects. You can take CBD in a variety of ways. Most people start with a pure CBD oil or tincture that is dropped under the tongue. You can add CBD oil to foods, drinks and smoothies without substantially altering the taste. There are some CBD edibles out there, but it’s difficult to determine the dose included in pre-prepared edibles. You can make your own edibles by adding drops of the oil to your favorite homemade goodies. There are many recipes online for CBD-infused gummy bears, candy cups and other treats. Vaping and dabbing are becoming more popular with CBD users, but those methods aren’t suitable for everyone. You need to buy CBD vaping cartridges and a vape pen if you want to go that route. Dabbing requires a special concentration of CBD, a dab rig and other supplies. Dabbing is attractive to many migraine sufferers because it delivers faster pain relief, but not everyone enjoys the process of heating a cannabis extract. Research the process thoroughly before buying concentrates and giving it a try. Researchers have found that a low dose of CBD taken for seven consecutive days can effectively relieve pain and anxiety. That explains why many people take CBD oil daily to help control many sources of chronic pain, including migraines and headaches. When taken daily as a preventative measure, you don’t need a lot of CBD. A low dose taken consistently may produce the results that you need. If you have an active migraine and you’re desperate for immediate relief, you may try vaping or dabbing CBD. These methods of administration are more intense than simply dropping oil under your tongue, but they deliver the fastest results. You will also receive a more concentrated dose of CBD when you dab. There is a learning curve to these methods, so you might want to try it before your next big migraine. That will ensure that you know how to quickly deliver the CBD you need when a migraine hits. Since most of the research into CBD and migraine headaches currently focuses on cannabis with THC, you might consider a prescription for medical cannabis. The combination of THC, CBD and other compounds naturally found in the marijuana plant may have the most impact for severe migraine headaches. This is only an option if you live in a state that has legalized medical marijuana and you have a medical professional willing to give you the diagnosis and prescription. While more research into the potential side effects of CBD is needed, it is deemed safe for most people. That includes children, teenagers and young adults. Pure CBD without THC doesn’t produce a high, but it’s important to purchase from a reliable brand offering a consistent product. There was a study that analyzed over 80 CBD products available online. The results revealed that many of the products contained less CBD than advertised. Some of the products even contained THC. With a little research, you will find a CBD product that delivers a reliable and effective product. Some people do report feeling drowsy after taking CBD, so you should take your first dose on a day that you don’t need to drive. CBD may also interact with some prescription medications. It’s important to talk to your doctor to identify potential interactions before taking your first dose. Even if your doctor won’t recommend or prescribe CBD, they can tell you if there are any dangers with your current medication list. Will CBD Cure Your Migraines? CBD can dramatically decrease the number of migraine headaches that some people experience each year. It may also reduce the intensity of a migraine when taken at onset. It’s not guaranteed to cure all migraine headaches, so treat it as you would any other treatment option. Try it for preventative measures first, and then decide if you want to explore dabbing or vaping for fast delivery in the midst of an active migraine. There are many potential causes for migraine headaches. Your cause may determine the effectiveness of CBD and other treatment options. CBD is just one more resource that may help you create a well-balanced prevention and treatment plan.